CH Men was presented in 2009 as a modern companion to edition CH Women from 2007. 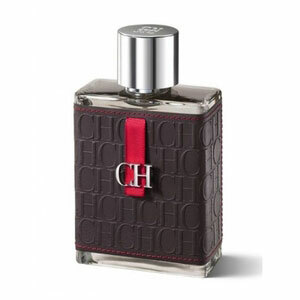 The concept of the fragrance is "unity of the opposites," intertwined elegance and eccentricity. Top notes incorporate luminous bergamot and grapefruit skin, adding a spicy heart full of saffron and nutmeg blended with woody notes, jasmine and violet. The base is composed of amber, vanilla, leather, moss and sugar. The fragrance is available as 50 and 100 ml EDT.